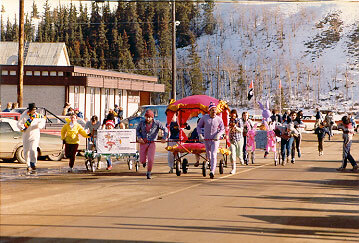 This is a Rendezvous Bed Race where the best job is being on the bed (unless you crash). Small towns always seem to have great community spirit and Whitehorse is no exception. As a matter of fact, being that people are living in such an isolated community I think it's even more spirited.